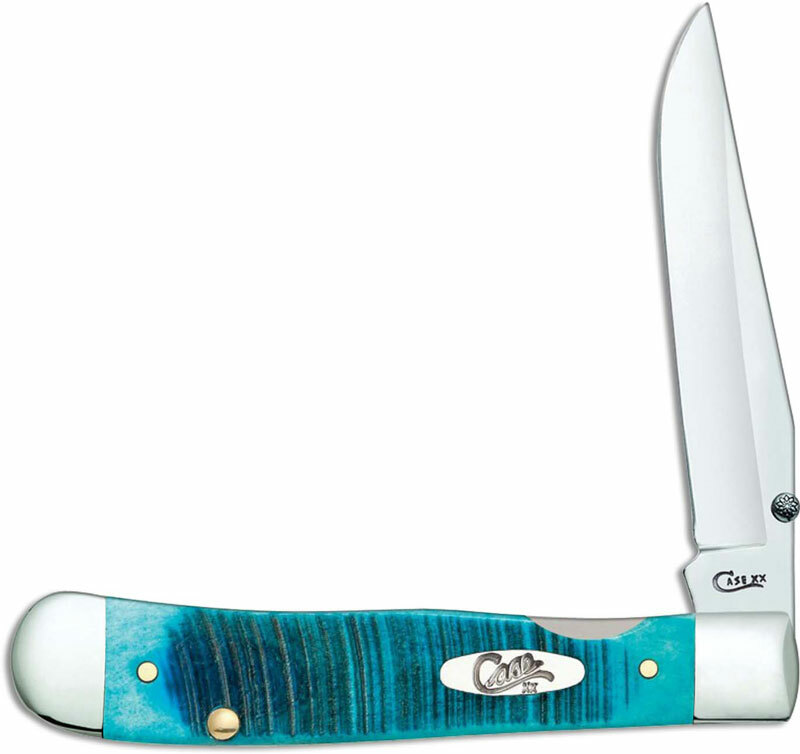 The 25594 Case Caribbean Blue Bone (6154ACSS) Kickstart TrapperLock Knife features a locking clip blade made of Tru-Sharp Surgical steel with a thumb stud and Assist for one hand opening. The Sawcut Jig Caribbean Blue Bone handle of this Case knife, 4 1/8 inches closed, has the Case Oval Script shield, nickel silver bolsters, a liner lock and a pocket clip mounted at the pivot end. The Case Kickstart TrapperLock Knife weighs 3.6 ounces. Made in the USA.